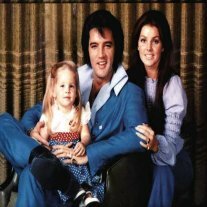 This Lisa Marie Presley Birthday page is dedicated to providing quality Elvis Presley biography information, pictures and articles for your entertainment. The contents of this Elvis Presley biography site is written by a fan for his fans about Lisa Marie Presley Birthday. "My worst memory, and the worst day of my life has to be the day Priscilla took Lisa Marie away from Graceland," says Schilling. "To this day, that image still haunts me..."
"It was I very sad day for all of us," says Schilling. "I remember how Elvis just stood in Lisa's bedroom and watched in silence as Alberta (Graceland's cook) helped Priscilla pack Lisa's clothes and toys into several suitcases... Elvis said nothing, but I could the pain in his eyes," recalls Schilling. "Suddenly, he yelled out to me and Joe (Esposito) to help Priscilla put the baggage into the car. 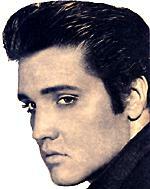 Elvis just couldn't bring himself to carry the bags out to the car, himself," whispers Schilling. "Lisa was more important than life itself to Elvis." Now she was being taken away from him," says Schilling. "Elvis just stood watching as we load up Priscilla's blue Mercedes. By than Priscilla was in tears and shaking," says Schilling. "Elvis took Priscilla into his arms, kissed her gently on the mouth, and said. 'If you need anything, Cilla. Anything at all? You know to let me know'." Until that finally moment, Elvis was still composed, but when it was time to bid farewell to his daughter, Elvis broke down and cried as he swooped his beloved Lisa into his arms. Elvis held Lisa tight for a very long time. "Be a good girl, Button-head," whispered Elvis. 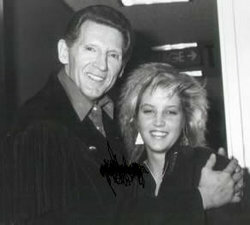 (Button-head was Elvis' pet name for Lisa) "You come and visit often, you hear," said Elvis trying to hold back the tears. ∙ Her debut album To Whom It May Concern was certified Gold. ∙ Her father called her Injun, Yisa and Buttonhead. ∙ She is a member of the Church of Scientology (John Travolta introduced her and her mother to the religion). ∙ She has suffered from depression. ∙ She is a recovering drug addict who began using drugs at thirteen, but with active help from the Church of Scientology was reportedly free of drugs by the age of seventeen. ∙ In 2002 she testified before a hearing of the United States Congress to speak out against medicating children for mental disorders (the practice is also condemned by the Church of Scientology). ∙ Her second album,Now What was her first album to have a Parental Advisory sticker. Although, an edited version of the album is available. ∙ Presley Place, which combats homelessness in Memphis. ∙ CCHR, a Scientology connected group that opposes psychiatry and psychiatrists. ∙ LEAP, Literacy, Education and Abilities Program, a Scientology connected group affiliated with Applied Scholastics that promotes L. Ron Hubbard's studying techniques. ∙ 2003 To Whom It May Concern #5 U.S.
∙ 2005 Now What #9 U.S. Description of Elvis Presley biography site contents: This site contains Elvis Presley biography information, Lisa Marie Presley Birthday Elvis Presley biography, history on Elvis Presley life story, Elvis Presley pictures and photos Lisa Marie Presley Birthday, Elvis Presley song lyrics, Lisa Marie Presley Birthday Elvis Presley movie resources, free e-books and articles listed for your convenient search in subjects of: Elvis Presley pictures and photos, Elvis Presley song lyrics, Lisa Marie Presley Birthday Elvis Presley movie resources, Lisa Marie Presley Birthday Elvis Presley childhood, Elvis Presley Band members biography, Elvis Presley girlfriends, Elvis Presley biography, Lisa Marie Presley Birthday Elvis Presley spiritual medium stories, Elvis Presley Memphis mafia stories, Lisa Marie Presley Birthday Elvis Presley biography, Elvis Presley diary quotes, Elvis Presley movie and music details in relation to the Elvis Presley autobiography and interviews of friends and family members for the Elvis Presley biography website written by a fan for his fans.